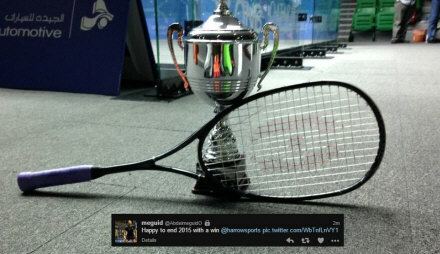 Thje last PSA title of 2015 was taken by Egypt's top seed Omar Abdel Meguid, who dominated the final against Germany's Jens Schoor, winning 11-5, 11-6, 11-8 in 30 minutes. 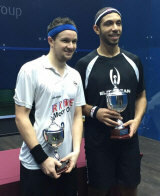 The victory marks Meguid's 10th PSA title but the first for over a year. Top seed Omar Abdel Meduid ended the run of qualifier Iker Pajares in the semi-finals in Doha, the young Spaniard retiring injured towards the end of the second game with Meguid in control of the match 11-5, 9-1. In the bottom half of the draw Germany's Jens Schoor overcame second seed Ivan Yuen in four games to advance to the final. 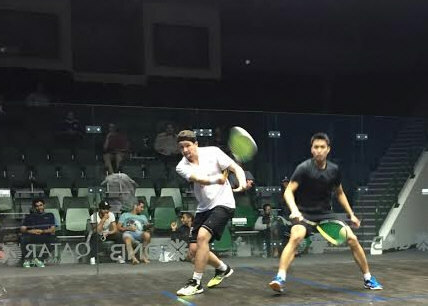 The German fifth seed - who reached the final of the first Qatar Circuit event in November - took the first two games 11-2, 11-9, and although Yuen recovered to take the third 11-4 Schoor dominated the next game with an 11-0 scoreline. "These events are never easy but the set up here and the glass court helps my game," said Schoor. "Even though Ivan wasn’t 100 per cent fit and he was struggling with a little injury, I think he did a great job today. It’s never easy to play when you know the other player is not really 100 per cent, you try to rush it a bit too much and all of a sudden he is there. "I'm happy to be through to the final and I hope that I can keep up my performance tomorrow - it’s going to be my last match of the year so it would be great to finish with a win." Having beaten local favourite Abdulla Al Tamimi in the first round, Spanish qualifier Iker Pajares continued his run of upsets as he beat third seed Danish Atlas Khan in another five-setter in Doha. 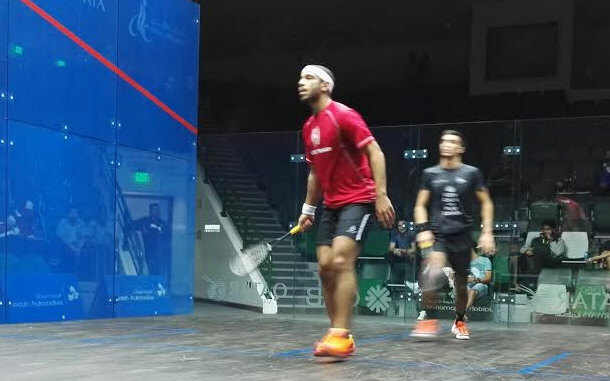 He now meets top seed Omar Abdel Meguid for a place in the final, while in the bottom half of the draw second seed Ivan Yuen needed five games to get past Kuwait's Abdullah Almezayen to set up a match against fifth seeded German Jens Schoor. 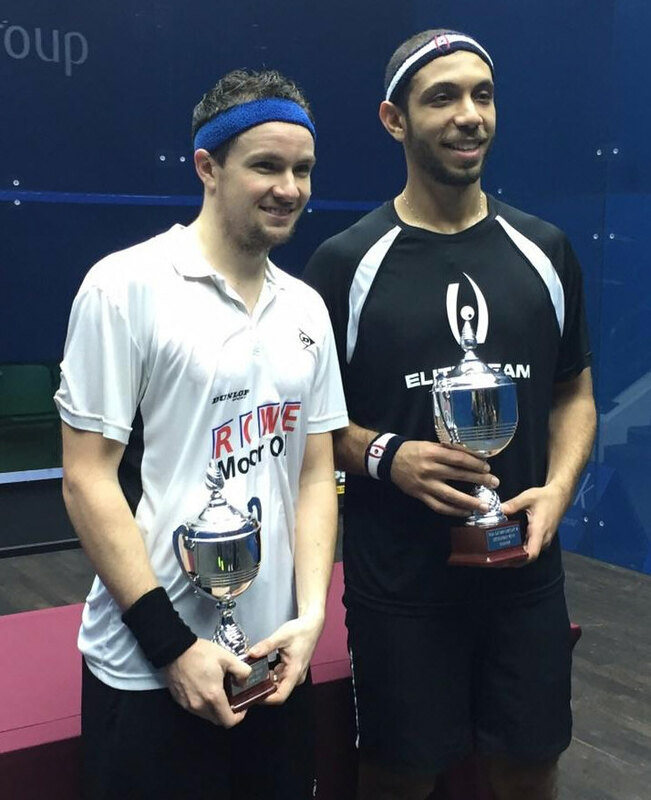 While the top five seeds won through to the quarter-finals of the last PSA event of 2015 in Doha, local favourite Abdulla Al Tamimi, was one of the three lower seeds beaten by qualifiers in the first round. Spain's Iker Pajares came from two games down to dent home hopes, while Kuwait's Abdullah Almezayen beat Mazen Gamal in five games and Youssef Soliman - top seed at the forthcoming British Junior Open - benifited from the injury retirement of Adil Maqool.